Recruiting in the healthcare industry today is not the same as it was several years ago. There is a plethora of tools and resources that can help you hire the right employees in your healthcare business. One of the most popular resources today, when it comes to recruiting and hiring in any industry, is LinkedIn. The reason for the popularity with LinkedIn is the fact that it gives you access to healthcare professionals who may not necessarily be searching for work, but would consider making a change for the right opportunity. Make sure that your company has a LinkedIn page and that each of your hiring managers and HR employees are active on the network. You would be surprised at the results you will receive when using LinkedIn accurately. Before you know it, healthcare professionals (who you will not find on job boards) will be contacting you on LinkedIn to network. Of course, it may be preferred to have experienced healthcare professionals on your team. However, do not discard new college grads. Hiring a college graduate can bring an energy and passion to your team that you may be lacking if you have only senior healthcare professionals on your team. Reach out to colleges that have top notch healthcare programs. Get in contact with their career counselors as well as healthcare specific professors. Network with these people frequently and you will receive recommendations and generated interest of top performing students and graduates. Perhaps you have identified excellent candidates who are not local to your healthcare business. Rather than take them through a series of phone interviews and then fork out a large sum to travel them to your business for an in-person interview, consider the benefits of a video interview. 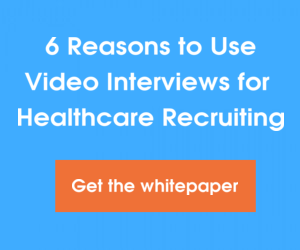 Rather than investing and traveling a candidate to your local area, conducting a video interview can help you to connect with he candidate on a visual level. Quite often, you will lose out on the candidate’s personality or character when speaking over the phone. When you conduct a video interview, you are taking an extra step to ensure that the candidate is the right fit for your business. After the video interview, if you still feel that you have the right candidate, you have a greater chance of making an offer when traveling the candidate to your business for a final interview. Once you have decided that you have the candidate you want to hire, it is a good strategy to have the candidate complete assessments testing their healthcare knowledge and finding out the type of environment the candidate performs best in. 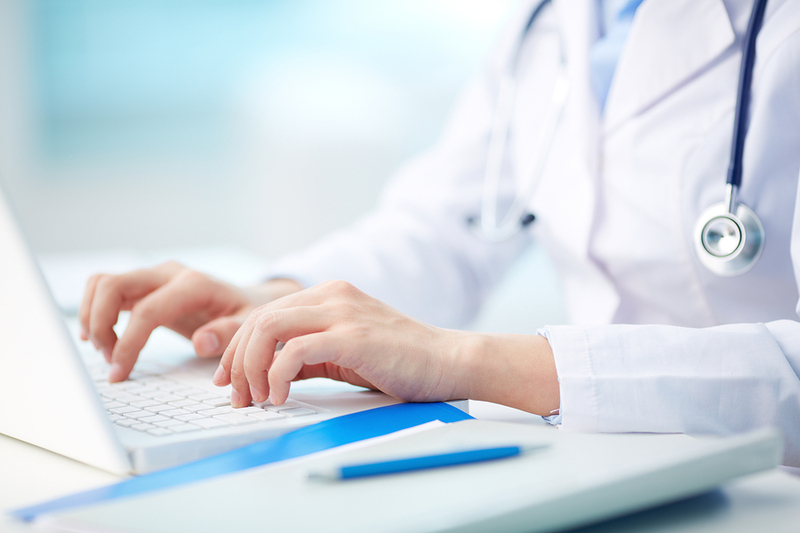 Many times, healthcare professionals will have already completed required healthcare assessments. Ask them to provide documentation of this. Having candidates complete a personality assessment in the final interview stages is a standard practice. Doing this will help you to ensure that you are hiring someone who will fit in with your business and culture. It will also help you understand the best training methods to utilize with the candidate, if hired. What are some of the recruiting tools that you are using to hire healthcare professionals? Please share your recommendations in the comments below.